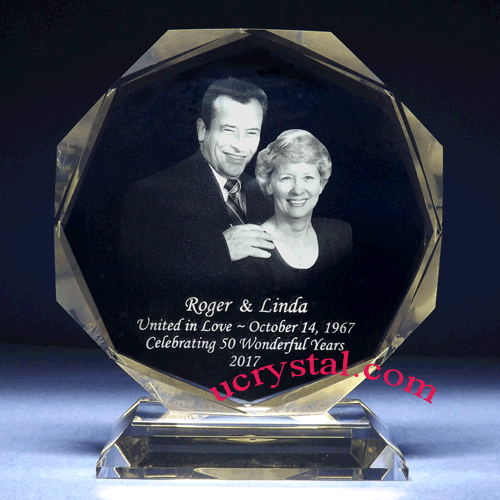 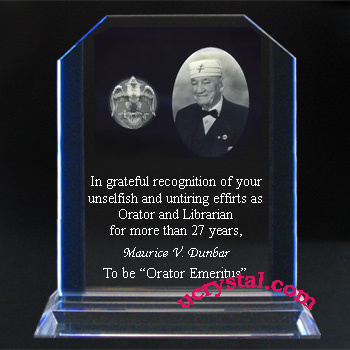 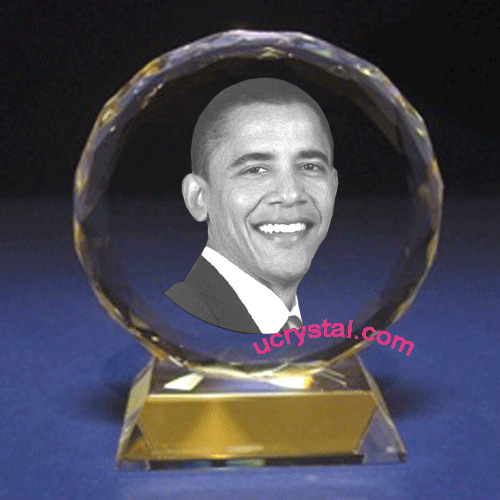 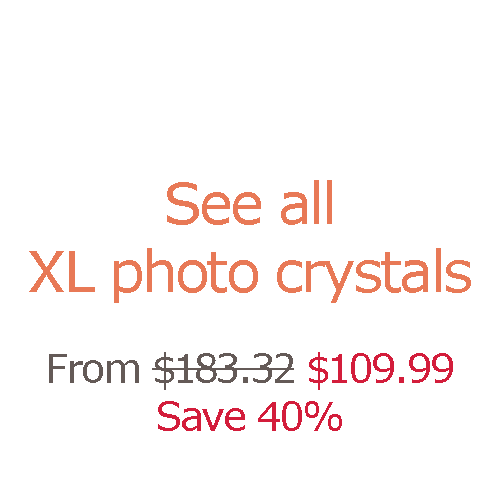 Extra large, octagonal, multi-faceted custom engraved photo crystals. 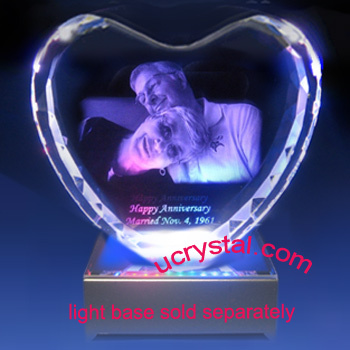 This laser engraved photo crystal is well received by our customers as a wedding anniversary crystal gift, family memory gift, family reunion gift, or birthday celebration crystal gift. 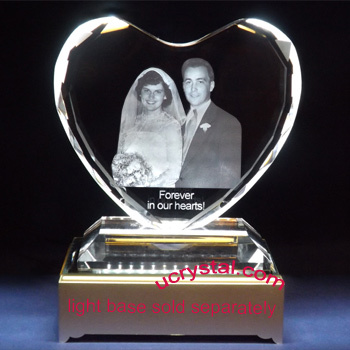 No matter if this is for your wedding anniversary, Valentine’s Day, or birthday celebration, you can be sure that your precious memory will be kept for a very long time. 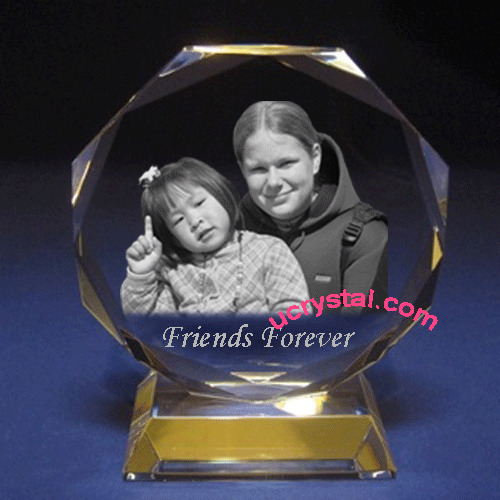 The beloved moment will feel more vivid in this personalized photo crystal as time goes by. 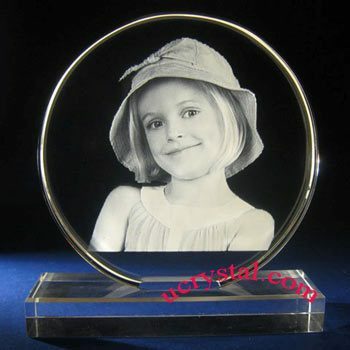 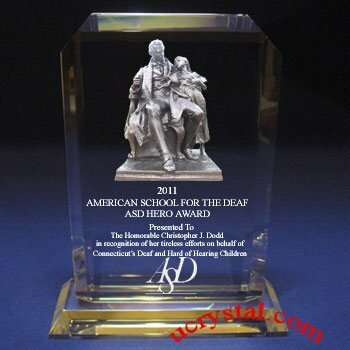 Due to the crystal thickness of 3 quarters of an inch, we do not suggest 3D personalized laser crystal engraving for this particular crystal; if you are interested in 3D engraving, you can browse the respective section on 3D crystals on our website. 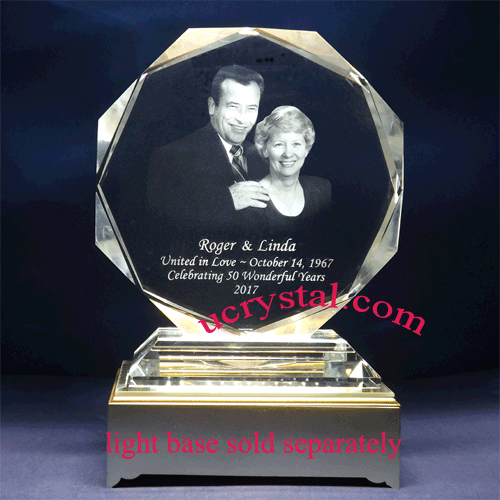 This finely polished octagonal photo crystal has multi-faceted edges and is permanently attached to the crystal base. 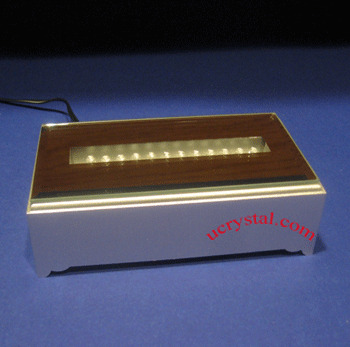 Suitable light bases can be added to enhance the viewing results. Please scroll down this page to find the appropriate LED light stands for this crystal. 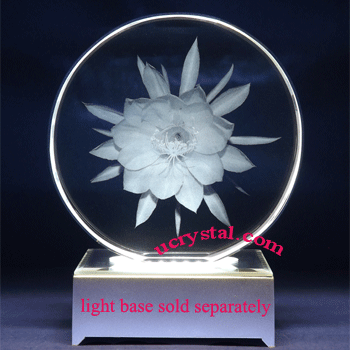 Extra large, octagonal, multi-facets with base. 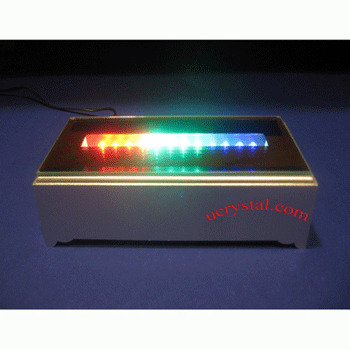 Size: 6" width x 6-1/2" height x 3/4" thickness (Height includes base).